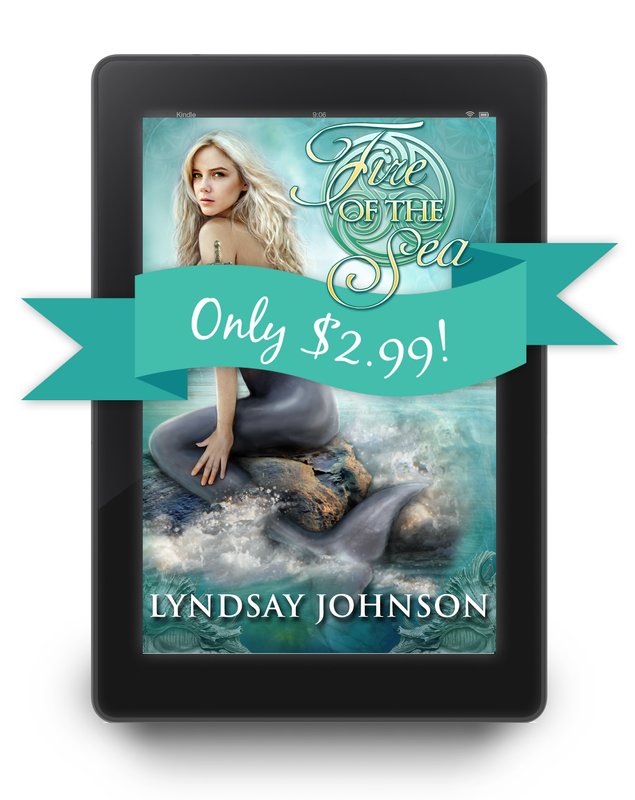 Lyndsay Johnson: Fire of the Sea is on SALE! Fire of the Sea is on SALE! If you haven't picked up a copy of Fire of the Sea, this is a great time to do it! Right now, the eBook is on SALE for $2.99 for a limited time (marked down from $4.99). If you like modern-day mermaids, swoon-worthy viking descendants, shapeshifters, legends, mythology, and love stories, all set to the backdrop of enchanting Iceland, this book is the one for you! Click HERE to purchase Fire of the Sea on Amazon. Sharp, sleek, and golden. Like the dagger she has worn since childhood, eighteen-year-old Aeva is all three of these things. But there is something else that this mermaid and her prized weapon share — they are both hunted. Hidden within the caves off Iceland’s dark shore, Aeva waits to take her place as the next ruler of the Mermaids. But when Aeva uses her potent and alluring song to save a drowning human, she disrupts a delicate balance. Realizing she has unexpectedly bound herself to Gunnar, Aeva is torn between duty and love. But legend and lies cast an intricate net. With time and safety quickly unraveling for Aeva and Gunnar, there is only one clear course: Find and defeat Delphine before she can shift again.